Preheat your oven to 350 degrees. Spray a muffin tin well with nonstick spray and set aside. In a blender, or food processor, whirl together all of the wet ingredients until they are smooth. Add the wet into the dry and mix to combine. 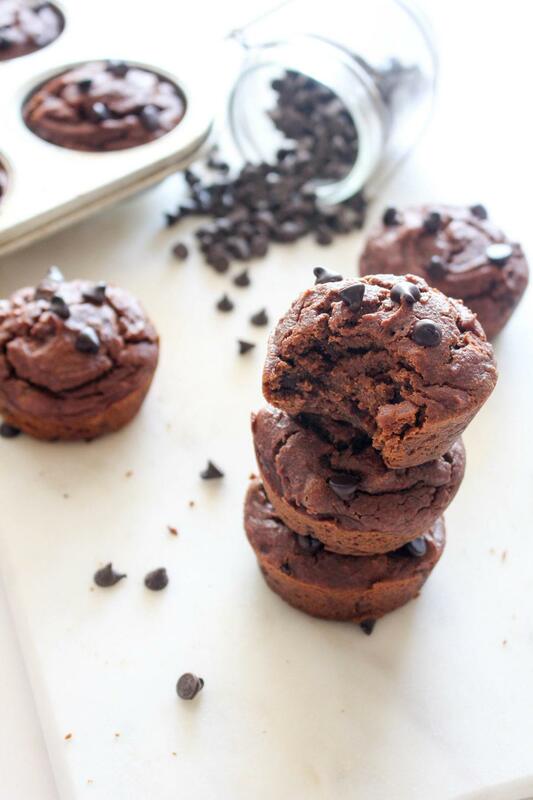 Stir in the chocolate chips and ladle into your prepared muffin tin. Sprinkle the tops of the muffins with extra chocolate chips. Bake for about 23 minutes, or until the top of the muffins are set when you gently press them with a finger. Allow to cool in the pan for 10 minutes. Remove and cool on a wire rack.